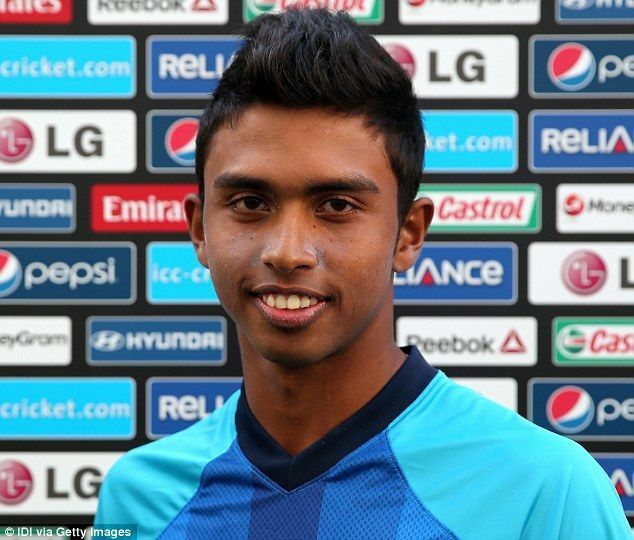 Wedagedara Sadeera Rashen Samarawickrama or simply, Sadeera Samarawickrama is a Sri Lankan cricketer, born on 30 August, 1995. The middle-order wicket keeper-batsman has made quite a name for himself at such an early age. He won the award for the best batsman for the season 2016-2017 at Sri Lanka Cricket’s annual awards in November 2017. Sadeera’s cricketing days started at his school, Colombo's Thurstan College, before moving to St. Joseph's in his senior years. He impressed with his batting skills even at the school level, scoring a remarkable 126 in St Joseph’s greatest cricketing contest. His performance was so impressive, that it compelled the selectors to include him in the Sri Lanka Under-19 squad for the 2014 ICC Under-19 Cricket World Cup. He continued his remarkable performances there too, scoring 265 runs while averaging 44.17. He began his first-class career after that, playing for Colts Cricket Club. He averaged 26.40 in the first season and a decent 43.46 in the next. His third season was outstanding, where he was the top scorer with 1016 runs at a mammoth average of 59.76. His vast potential was exposed after an impressive domestic season. He was selected for ACC Emerging Teams Asia Cup 2017 tournament, where he carried his team to a win after scoring 45 runs in the final. He also made a whopping 185 off 223 balls against the strong bowling attack of England Lions in this tournament. He played his first Test match later that year against Pakistan at the age of 22. He scored 38 runs in the match and impressed with his drives, which was compared to the likes of the celestial Mahela Jayawardene. He was also included in the ODI series against Pakistan. However, he was dismissed at the score of 0 in his first two matches, thus becoming the third player after Sachin Tendulkar and Kane Williamson to score a duck in first two ODIs. Sadeera Samarawickrama’s T20 debut also came against Pakistan on October 26th, 2017. He was the wicket-keeper in that match and scored 23, which was the highest score for his team that day. Seeing potential on his debut, selectors picked him for Sri Lanka’s tour of India in November 2017. He opened Sri Lanka’s batting on many occasions in this series, but failed to churn out runs. In Sadeera, Sri Lanka is looking to replace the vacuum created by the celebrated ex-opener Dilshan Tillakaratne. However, with only 12 international matches in his bag, the young prodigy has a long way to go and a ton of expectations to meet.